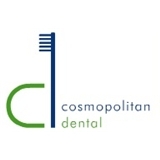 Cosmopolitan Dental (New York) - Book Appointment Online! Cosmopolitan Dental strives to surpass all of our patients expectations by catering to your needs while providing the utmost professional results. Focused on the importance of keeping you comfortable throughout your visit, we have equipped our dental chairs with a pleasuring massage option and allow our patients to choose which type of music they wish listen to while undergoing treatment. using the most advanced technology, such as digital X-ray imaging, we are able to accommodate any requirements to help you look your best. Our goal is to make you smile and love doing it! Dr. Nazarian and Helen are the best! I was in extreme pain and was able to book an apppointment literally within an hour of waking up! Turns out I needed a root canal (lucky me right)! They got me out of pain and fixed me up that day! Most dentist would reschedule for the next soonest available, but not Dr. Naz, he made sure I was good to go AND had my crown done and fitted within a week! Helen was also great helping me maximize my insurance as to not pay more out of pocket. Can't say enough good things! For cleanings or seriouse 3 hour root canals your in good hands! Great dentist appointment! The receptionist made the sign in and insurance process very easy and clear, so when I came in I just had to fill out a history form and then the cleaning started right away. The hygienist was friendly, thorough, and very informative - she went above and beyond! The time with the dentist was brief but good, and scheduling a follow up appointment was also easy because the receptionist managed everything with my insurance. Highly recommend!